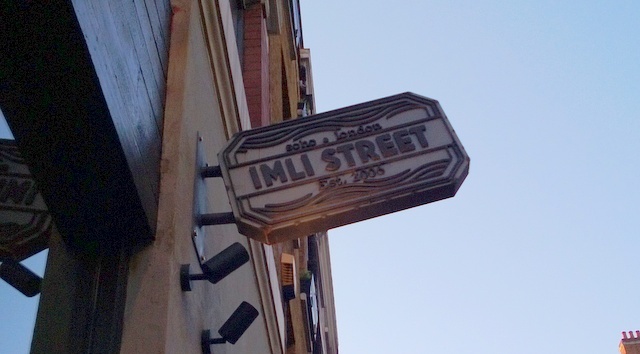 Imli Street, Soho, is part of the Tamarind Restaurant Collection and serves traditional Indian street food in a chic and stylish restaurant. Head chef Nirmal has developed an exciting new weekend brunch menu and has shared one of his favourite recipes from it for you to try at home! Green chillies, chopped 2 nos. Heat oil in a thick-bottomed saucepan. Add cinnamon, cardamom and cloves, sauté for half a minute, add chopped onions and sauté over medium heat, stirring occasionally, until golden brown. Add chopped ginger and garlic, stir well for a couple of minutes and add the turmeric, chilli, cumin and coriander powders and sauté for a further five minutes. Add the chopped tomato, stir and allow to simmer for 10-15 minutes or until the oil separates from the masala. Add the lamb mince and cook over high heat for five minutes, stirring constantly. Lower the heat to a gentle simmer and leave covered for about 10 minutes. While the minced lamb is cooking, separate the leaves of the lettuce, wash well in cold water and leave to drain. Remove the lid; turn up the heat and sauté for a further 10 minutes, stirring constantly until almost dry. 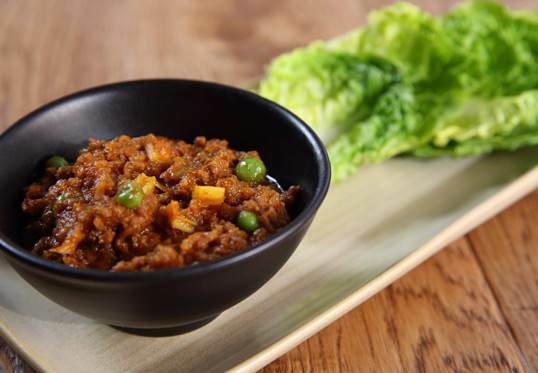 Add the green peas and chopped celery, sprinkle garam masala powder (optional) and chopped, washed coriander leaves, check seasoning and serve hot with lettuce cups on the side. Design Restaurants is an online dining guide and membership club offering our members benefits in the best restaurants across the UK. For more information go to www.designrestaurants.com.